or Terry Bolinger at tbolin3194@aol.com. Come to the Pacific Ocean in 2005! Well, we just finished our last convention in Ogden, UT, and what a convention it was! But, now it�fs time to start thinking about next year�fs convention. 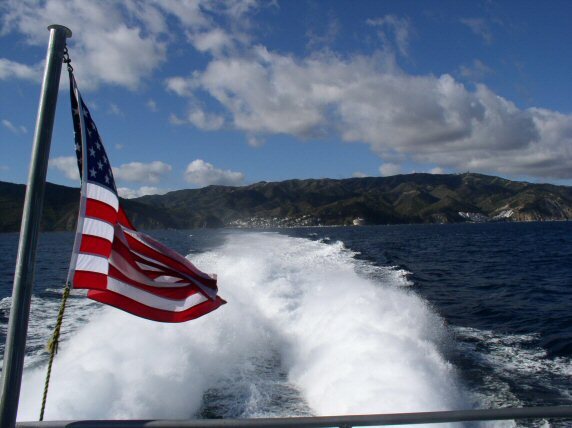 Next year, we will be in a special place - Catalina Island - off the coast of California. 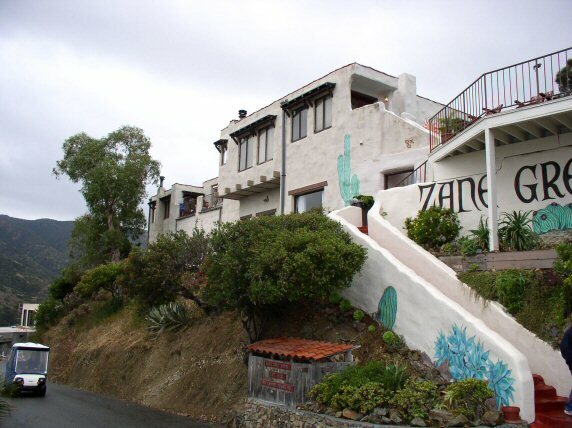 Zane Grey had a home on Catalina and many of his fishing exploits took place from Catalina. The house still exists as a bed and breakfast called the Zane Grey Pueblo. The Convention headquarters hotel will be the Best Western Resort. Tuesday morning breakfast, followed by the Opening Ceremonies and Speakers including Dr. Loren Grey on growing up in Catalina plus ZG Inc updates, also Dr. Joe Wheeler's Keynote address. Lunch on your own followed by the Fundraising ZGWS Auction where you will some of the finest ZG items gathered on one location for sale. Wednesday we will be taking a bus from the city of Avalon into the interior of the Island and up to the top of the Island to the Airport in the Sky. Dinner on your own and then Wednesday evening will find us back at the resort for a rare showing of a Zane Grey film, Western Union starring Robert Young and Randolph Scott. The BYU Film Archives and James D�fArc who will be showing the film in 16 mm will bring this film to us! We will have Social time after the showing, which is always a great chance to get caught up with old and new friends. Thursday will be the business meeting in the morning plus the fantastic geographical presentation by Chuck Pfeiffer. Lunch on you own followed by some free time and possible an open house at the Zane Grey Pueblo. Another full week of happenings! You will be making your own travel plans to and from the island, but numbers are supplied in the Convention materials for your convenience. The January newsletter will have information on the after Convention events as they are worked out. I have been hearing from a lot of first time attendees that they will be making the trip to Catalina. This is a great chance for us to increase our Zane Grey family and hopefully build many new friendships for years to come. Not to mention visit a location that has so much Zane Grey history tied to it. Make sure you carve out the time to make this trip happen for you and your family. Looking forward to seeing you there!